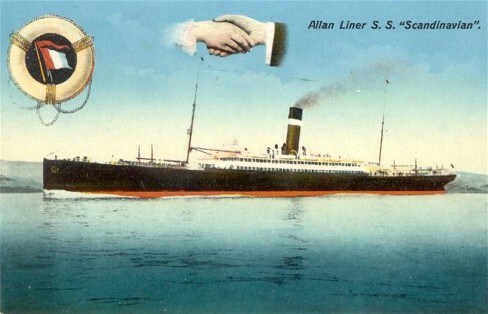 Born at Alfred Ontario Canada to Daniel and Margaret (nee Allison) McCusker. Following the war Dr. McCusker entered the Royal Victoria Hospital in Montreal to take a 2 year postgraduate course in eye, ear, nose and throat work and followed this by serving 18 months as a resident surgeon in the Knapp Memorial Eye Hospital in New York City. He followed this up with a 1 year postgraduate course in Europe before opening a practice as an Eye, Ear, and Nose specialist in Regina. 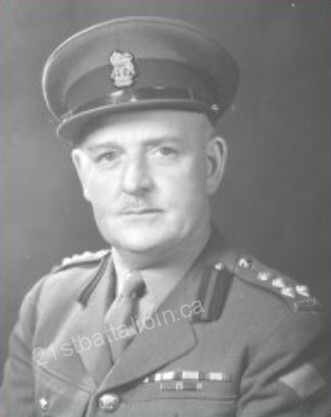 Promoted to rank of Colonel and appointed to the position of Deputy Assistant Director of Medical Services of the 1st Canadian Division at Aldershot, Nova Scotia. 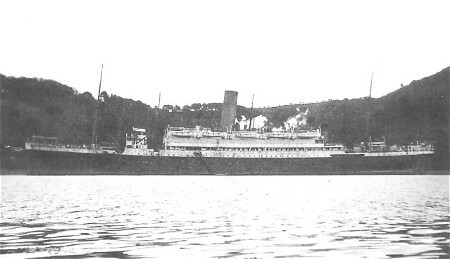 Embarked a troopship in Halifax, Nova Scotia. Disembarked in Greenock, Scotland with the 1st Canadian Division. Attached to the Canadian Corps Headquarters in the United Kingdom. Promoted to the rank of Brigadier and appointed to the position of DDMS (Deputy Directory, Medical Services) for the Canadian Corps. Attended the Joint Planning Course, ending on June 25, 1943. 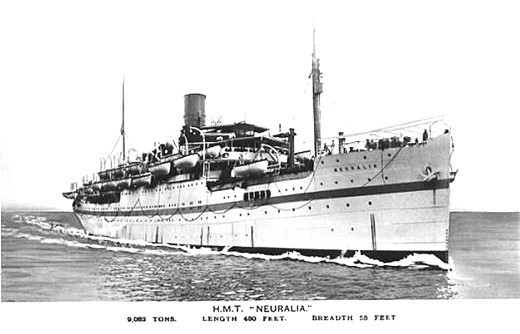 SOS the Canadian Army in the United Kingdom and TOS the Canadian Army in the Mediterranean and proceeded to Sicily. Attached to the 8th Army Headquarters, CMF (Canadian Mediterranean Force). Ceased to be attached to the 8th Army HQ, CMF. Attached to the 5th Canadian Armoured Division Headquarters, CMF. Emplaned for England and relinquished the position of DDMS. Departed the United Kingdom by air for Canada and SOS the NETD. 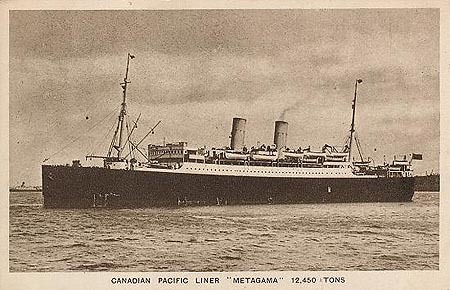 Arrived in Canada and granted disembarkation leave until January 29, 1945. 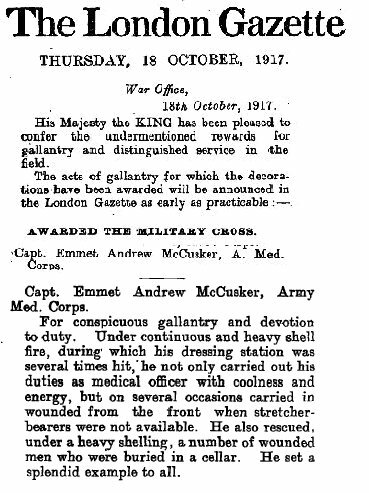 Awarded the appointment to Commander of the Order of the British Empire (CBE), Military Division, Canadian Gazette #53, Page 5471. Granted annual leave until February 12, 1945. Granted retirement leave until July 24, 1945. Mentioned in Despatches per Canada Gazette and CARO/5718. SOS the Canadian Army and retired from the Canadian Army Reserve as being overage. Address on retirement, Ste., 1, Madrid Apartments, Regina, Saskatchewan. Mentioned in Despatches per Canada Gazette and CARO/6074. 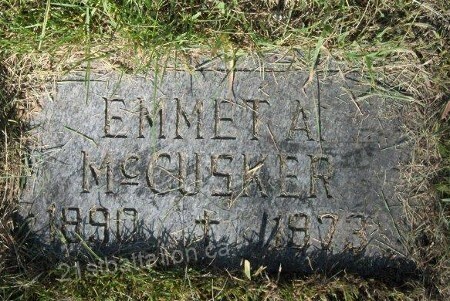 In 1949 Dr. McCusker was elected to the Canadian Parliament and appointed Parliamentary Assistant to the Minister of National Health and welfare in 1951. During the period 1952-53 he served as the Chairman of the Defence Medical and Dental Services Advisory Board.